This year the Rand Show runs from Friday 19 April to Sunday 28 April, 2019. Joburg’s Best Day Out once again takes place at the Johannesburg Expo Centre, Nasrec (corner of Nasrec and Randshow Roads). Check out the Early Bird Specials below. The 125th celebration includes the introduction of loads of family-orientated and never- seen-before attractions. Gaming, cosplay and dance are just some of the new additions, and gaming fans will be given a real treat at the new Gaming Entertainment Pavilion with a Fortnite Gaming Tournament where R 100 000 is up for grabs. Much-loved show favourites are back, such as the South African Garden and Home Pavilion, military displays featuring supersonic jets, attack helicopters, armoury and synchronized aerial displays, and of course the fantastic fun fair. For petrol heads there will be a world class World of Motoring, showcasing a Motoring Hall, spinning and drifting, driving course, the anticipated IASCA World Record Sound Competition. The chance to win big is made even greater with a host of other prizes up for grabs, ranging from a home make over from EasyLife Kitchens, which includes a new kitchen and cabinetry in each room. It comes with R150 000 furniture from Home Italia and a Mlily Manchester United bed. You can also be off to the Chelsea Flower Show in London and local travel to Kirstenbosch or Lesotho. All these activities have also been super-charged with the addition of a Fashion, Beauty and Fitness Expo, which will be attended by some of the world’s biggest names in fitness – Hattie Boydle from Australia, Tom Coleman from the UK, AJ Ellison from the US and South Africa’s Jaco de Bruyn. This Expo will also host events such as SA’s Fitness Runway Model competition and public workouts where visitors can take part in fitness sessions. All followed by delicious healthy, nutritious treats available at the pavilion. 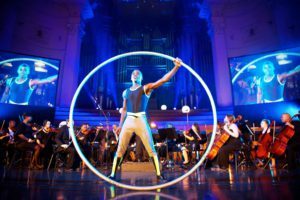 Cape Town’s Zip Zap Circus will also entertain with breath-taking performances. And if cooking or talent shows are your thing, be sure to catch the finals of SA’s brand new Jacaranda Clash of Ages and the Joburg’s Talent competition. A drum majorette challenge dubbed the Drum Majorettes Gold Cup also returns. This is truly a 10-day, super-sized festival of fun for all ages perfect to keep your family entertained during the April holidays. Normal ticket prices are R80 for children under 17 and R 150 adults. Purchase of an Early Bird ticket offers you a saving of up to R70 on the ticket price, making that R100 per adult and R50 per child. This saving includes free entry into the Gaming Pavilion, as well as automatic entry for every adult ticket purchased to win a Suzuki Swift, sponsored by Suzuki South Africa.